Public toilets often have the reputation of having poor facilities, however the sheer quality of our public hand dryers can completely turn this around. Not only are they unbelievably powerful but they are eco-friendly and can fight bacteria and germs too. Each one of them is accredited by The Carbon Trust. All of our hand dryers have been developed using cutting edge technology to demand better performance, low energy consumption and low operating costs. 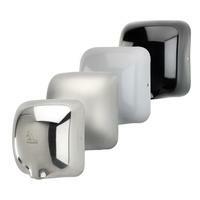 Take a look at our hand dryers that can be used in public facilities.